Personality changes associated with this time can be very severe with some women describing a Jekyll and Hyde change where they literally become a different person pre-menstrually. Women say that they know they are feeling and thinking differently to the point of being irrational but they have no control over those changes. For some women at that time the world seems completely negative, ‘everything seems black’, doom and gloom and they will often cry at the slightest thing without any real reason. This category which is very common in up to 80% of women each cycle, includes those symptoms such as mood swings, irritability, anxiety and tension. 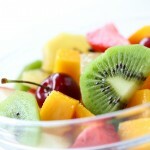 This group includes cravings for sweets or chocolates, increased appetite, fatigue and headaches. Up to 60% of women can experience these kinds of symptoms leading up to the period. Type H includes symptoms such as water retention, breast tenderness and enlargement, abdominal bloating and weight gain. Up to 40% of women can experience these changes. Depression is the largest symptom in this group but it can also include confusion, forgetfulness, clumsiness, withdrawal, lack of co-ordination, crying spells, confusion. Only 5% of women experience these symptoms but these can be the most serious if the woman is verging on the point of being suicidal. Many women will get symptoms from each Type during any one cycle. And for some women these symptoms can change from month to month, so they are not always experiencing exactly the same symptoms before each period. For some women because the symptoms can be predominately psychological they are often prescribed tranquillisers or antidepressants. Other women have been just told to ‘grin and bear it’ or it’s part and parcel of being a woman. And others have the situation where many doctors do not even believe that the condition exists. It is assumed that PMS has an effect on a woman’s general health by giving her any number of 150 different symptoms. But what if the situation is really the other way round. That is, if a woman’ health is not very good then this manifests as PMS in some women. 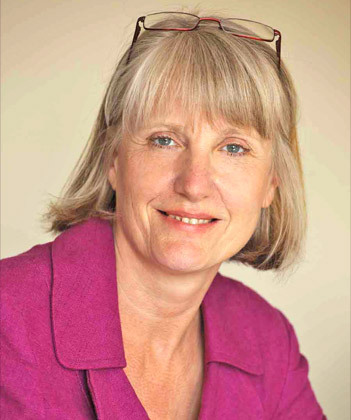 If you have not been eating well, maybe lacking in certain vitamins and minerals, not exercising, stressed, too much to do each day and generally feeling ‘run down’ it is very possible that your body’s ability to produce the right balance of hormones and to utilise those hormones properly each cycle is going to be compromised. The supplements recommended below may be helpful for PMS. For best results you should take them over a period of three months, at the end of which you should be reassessed in order to monitor improvements and changes and then adjust the supplement programme according to your new condition. A good quality multivitamin and mineral would form the foundation of your supplement programme to make sure that you are getting a ‘little bit of everything’. You then add in those nutrients in slightly higher amounts which are known to be helpful for PMS. A number of studies have shown the effectiveness of vitamin B6 on PMS. 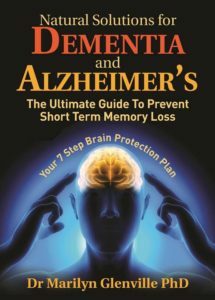 Vitamin B6 plays a vital part in synthesising certain brain chemicals (neurotransmitters) that control your mood and behaviour. In order for your body to convert B6 (as pyridoxine) into its active form (pyridoxal-5-phosphate) which your body can use, it needs other nutrients such as magnesium. So if you take B6 on its own but are deficient in other nutrients your body may not be able to use that B6 properly. It is also now possible to take vitamin B6 in the form of pyridoxal-5-phosphate which is the type I would recommend. This vitamin has been shown to be helpful for the breast symptoms associated with PMS and also the mood swings and irritability. Magnesium is classed as ‘nature’s tranquilliser’ and so is vital in those aspects of the pre-menstrual symptoms which relate to anxiety, tension, etc.. Women with PMS have been found to have lower levels of red blood cell magnesium than women who don’t have symptoms and the supplementation of magnesium has been found to be extremely useful in alleviating many of the PMS symptoms and even more effective when taken with vitamin B6 at the same time. A magnesium deficiency can cause blood vessels to go into spasms so if you suffer from menstrual migraines magnesium can be useful in preventing these spasms. Chromium is needed for the metabolism of sugar and without it insulin is less effective in controlling blood sugar levels. It helps insulin take glucose into the cells. In PMS, where many of the symptoms are similar to symptoms of blood sugar imbalance, it is crucial that you have enough of this nutrient. Without enough chromium, glucose levels get higher because insulin’s action is blocked. Insulin brings down the level of glucose. This ability of chromium to help with cravings is especially important if one of your main pre-menstrual symptoms involves appetite changes. Some women can find that they can eat a packet of biscuits or a box of chocolates a day in the lead-up to their periods, while they would not think of eating like that at any other time of the month. Many of the women I see in the clinic have been taking evening primrose oil supplements – an Omega 6 fatty acid – for many years as it can be helpful with PMS. But you can end up with too much Omega 6 and not enough Omega 3 in your body. Some women are also taking combinations such as Omega 3, 6, and 9 in supplement form because they have heard that we need a good balance of all the Omega fatty acids. This is true, but you have to take into account what your own levels may be in the first place. 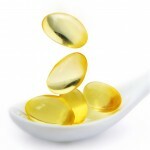 It is no good adding in more Omega 6 if you have already got enough or in fact too much in your body. (You can now have a blood test to tell you if you have the correct levels of Omega 3 to Omega 6 in your body see below). To check whether you have sufficient levels of Omega 3 please click Omega 3 Deficiency Test (at home finger prick blood). This is the herb of choice for premenstrual symptoms (PMS). It has a balancing effect on the female hormones. A good double blind placebo controlled clinical trial in the British Medical Journal showed that agnus castus is an ‘effective and well tolerated treatment’ for PMS. 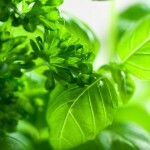 Its effects have even been compared to an anti-depressant in the severe form of PMS termed premenstrual dysphoric disorder and there was no statistically significant difference between how well the drug worked versus the herb so when we have a natural solution that works equally well as a drug it seems logical to use the natural remedy. This herb is particularly helpful for the anxiety and tension symptoms of PMS and also headaches and migraines that occur premenstrually. While the agnus castus is working on hormone balance, the skullcap together with the black cohosh has a calming effect on your body. It is your liver that has to detoxify your female hormones so you want it to be working efficiently. If you need help in obtaining any of the supplements, herbs or tests mentioned above, click, PMS (Pre-menstrual Syndrome) options at The Natural Health Practice. They can supply all of them for you online or if you prefer to talk to somebody first you can also order by mail order on the telephone. The products supplied by this company are always of the highest quality. To avoid having to purchase numerous supplements for all of the above and to make the process easier, I have put together a supplement programme which contains all the nutrients and herbs mentioned above and in the correct dosages. For more information about these click PMS (Pre-Menstrual Syndrome) Supplement Programme. In my book “Overcoming PMS The Natural Way” I explain the impact of nutrition on hormones and also given in great detail is a list of the most important supplements required in order to help you have a regular, symptom free menstrual cycle. If you would like to order these special supplements now, you can do so through the Natural Health Practice by clicking PMS (Pre-Menstrual Syndrome) Supplements at the Natural Health Practice. The tests below have been specially selected to be the most helpful if you are concerned about PMS. The section above forms part of a larger ebook on PMS. In the rest of the ebook you will learn what the medical approaches to PMS are and how to combine them with the natural approach. This is called Integrated Medicine and is the way that healthier of the future is moving towards. You will also learn what medical tests will give you an accurate diagnosis of your condition and if you really need to have them. The medical treatments for PMS are then examined which can include looking at either drugs or surgery. 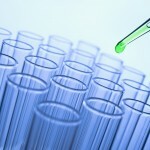 Each treatment is then discussed and the pros and cons of the options explained. The Integrated Approach to PMS is considered in some detail so that if appropriate you can know how to combine the best of both conventional and natural medicine. 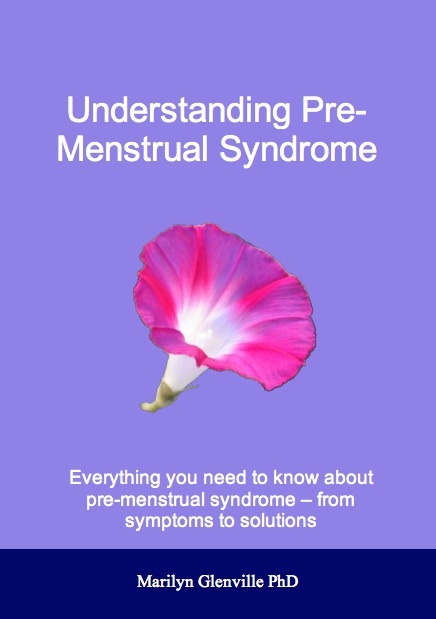 If you would like to read the rest of this ebook click, Understanding PMS (Pre-Menstrual Syndrome) ebook at The Natural Health Practice and you will be given details of how you can download the whole ebook. 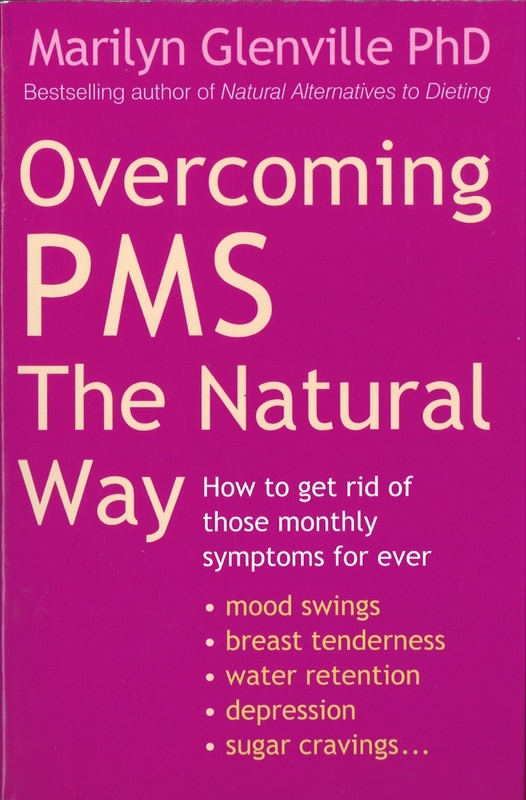 Or if you would like even more in depth advice about PMS (Pre-menstrual Syndrome) then read ‘Overcoming PMS the Natural Way’ book – An international best seller.